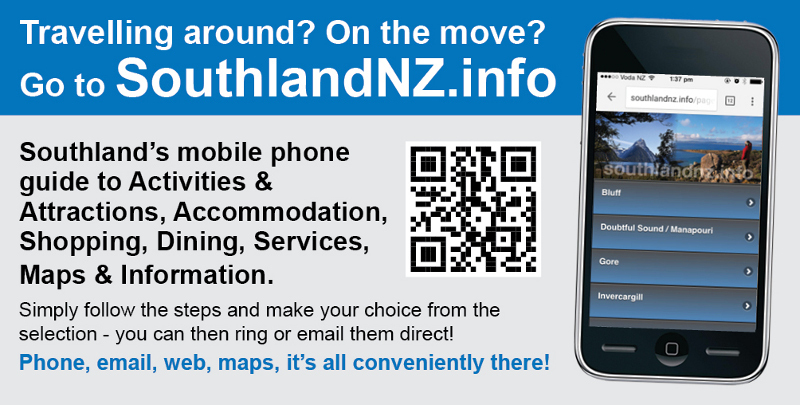 Situated only two hours south-west from Dunedin, and two hours south of Queenstown. 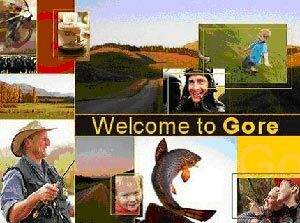 Gore is an ideal stop-off point for those wishing to really explore our southern heart-land. Internationally renowned as the World Capital of Brown Trout Fishing, Gore develops a 'global' feel from October to April as anglers from many countries come to test their skills against the wily Brown Trout. If two-wheeled adventure 'cranks your chain' then Gore's new grade 1-2 mountain bike track, surrounded by spectacular native bush, is a necessary experience. The district's recreational 'jewel' is it's new Multi Sports Complex. Whether you are interested in fitness, swimming or simply relaxing in the hydro-therapy pool, the Gore Pool will cater for all your aquatic needs. Also housed within, the complex boasts a half Olympic Ice Skating arena. Try your hand at curling, or simply opt for gliding over the ice on a pair of skates. There is so much more this rural haven has to offer visitors, don't miss your chance to explore fabulous scenery and experience this exceptional town.